The estate in Lucan where Neil Reilly (36) was killed following an altercation after a shooting at a house in Clondalkin is a quiet residential area. Following the shooting in Ronanstown it is understood one vehicle was driven at speed from a house but was pursued by several men in at least one other vehicle. Later in the morning, a local man said most people there “keep themselves to themselves. It’s an older estate, it’s not a new estate”. But he added that it was only a matter of time before a violent incident such as this one occurred in the area. The unrelated incident he was referring to was the shooting of gangland figure Mark Desmond, who was fatally wounded in an attack at Griffeen Valley Park in December. He said the incident on Wednesday could have been worse if it had happened when kids were going to the local school, close by to where the incident took place. Another woman said, “my god, here we go again” as she passed the sealed off area where a Garda forensics team was examining the scene. 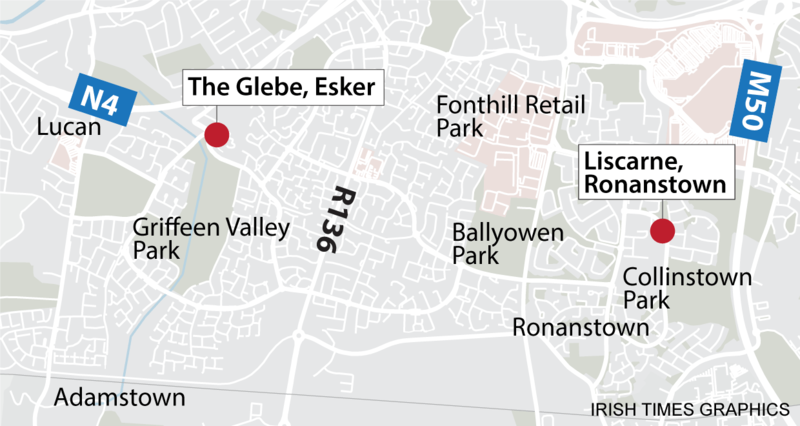 In a press conference at the scene, Supt Dermot Mann said gardaí received calls about a crash at the Glebe involving a number of vehicles. On Wednesday a damaged silver Mazda remained outside the row of houses where Mr Reilly was assaulted, stabbed and run over by a car. The incident occurred after several shots were fired at a house at Liscarne Gardens, Clondalkin, at about 4am. That house was also sealed off on Wednesday afternoon, its front window broken and two shotgun casings visible on the footpath outside. Gardaí were conducting door-to-door inquiries. A neighbour two doors down said she “heard nothing at all” but that the incident is shocking. “We’ve never seen something like this before. It is shocking. The area is quiet, you never hear of anything, only that time your man got stabbed at Halloween. But we didn’t even know about that until it was all over Facebook.